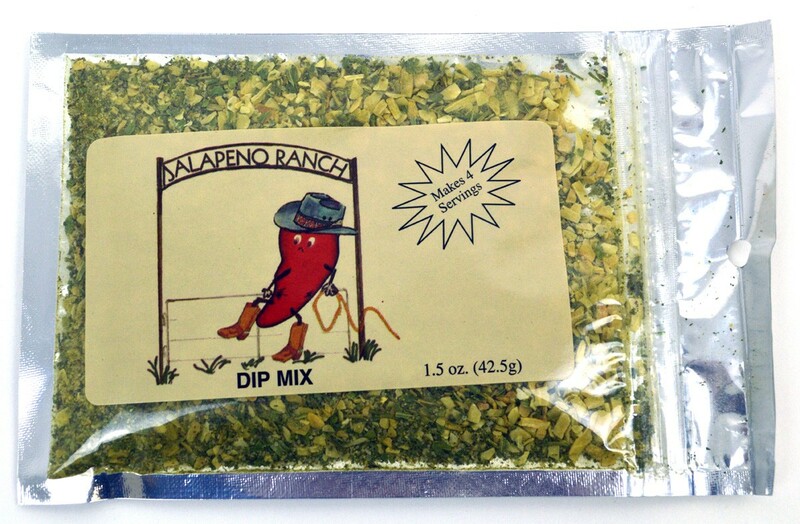 You'll never want regular ranch dip again after you try Mild Bill's Jalapeño Ranch Dip Mix. This dip is addicting and you'll soon find different ways to enjoy it. Great as a dip for Fritos, potato chips, tortilla chips, and it's also great with cut veggies and over baked potatoes. 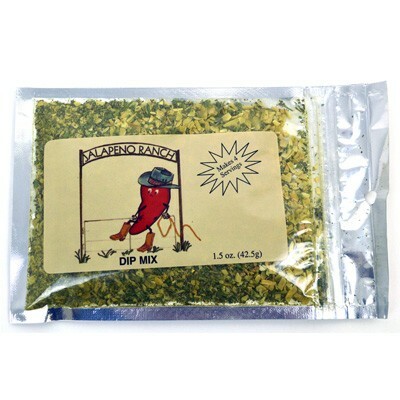 The dry mix is an excellent way to season steamed veggies, roasted potatoes, meatloaf and burgers. It's also great mixed with Panko bread crumbs and parmesan and used to coat chicken. You can also add this mix to prepared Ranch dressing, or make your own. Not too hot, this dip is full of flavor and won't last long. Be sure to make plenty!